Obesity is a major cause of heart disease and heart failure. Five-year death rates following first hospital admission for heart failure is greater than 40%, stressing the need for new therapeutic strategies. Prolonged heart enlargement and heart stiffness plays a critical role in the development of heart failure, yet little is known about how changes in individual cells reading their genes and the link between obesity and changes in heart structure and function. Every cell within the body has a blueprint (DNA) to express tens of thousands of different genes yet in any given cell type only a small subset of these genes are expressed. The selective expression of these genes is what gives rise to cell, tissue, and organ specific function. That is, a cell in the eye’s retina is different than a cell in the heart because the cells express different genes. In the same manner, the diseased heart expresses genes that it normally would not, which lead to its enlargement and stiffening. This selective use of genes is regulated by complex mechanisms that are only beginning to be understood and involve the regulation of adding and removing chemical marks (epigenetics) to the molecular packages (chromatin) that hold the blueprints (genes). Previous reports from the team at UNR and others have found that inhibition of a specific class of epigenetic regulators within the heart, histone deacetylases (HDAC), block heart enlargement and stiffness in animal models of heart failure, yet a role for HDAC in obesity has yet to be examined. This project is investigating the role of HDAC as epigenetic activators of heart enlargement and stiffness, with emphasis on the function of HDAC in controlling obesity-induced heart dysfunction. In addition, this project is focusing on dietary food components that block HDAC and therefore would protect against heart enlargement and stiffness. Obesity is a major cause of heart disease and heart failure (HF), independent of other co-morbidities. Five-year mortality rates following first hospital admission for HF is >40%, stressing the need for new therapeutic strategies (Kenchaiah et al. 2002; Litwin 2012). In the state of Nevada, 27% of the population is obese, 24% have been diagnosed with heart disease and 11% of the population diagnosed with HF. These statistics are staggering and are only projected to worsen over the next decade (Monnat 2012). The consequences of obesity can be attributed to alterations in cardiac structure and function in addition to co-existing conditions like diabetes (Kenchaiah et al. 2002; Litwin 2012; Linz et al. 2012; Aurigemma et al. 2013). Adipose tissue is a heterogeneous endocrine organ, where for instance, fat surrounding the heart acts as a metabolic signaling hub that secretes factors which then impact cardiac physiology. As a consequence of these excess factors (e.g. adipokines), cardiac remodeling and function is markedly altered in obese individuals (Kenchaiah et al. 2002; Toubal et al. 2013). Cardiac remodeling occurs in obese individuals through mechanisms involving dyslipidemia, hypertension, hyperglycemia, inflammation, and oxidative stress. An emerging hypothesis in the diabetes field suggests that the cardiovascular system has memory for metabolic dysfunction, ‘metabolic memory’ (Jayaraman 2012). This is evident in diabetic patients who have well-controlled glycemic index with normal HbA1c, yet fail to improve from cardiovascular events (Jayaraman 2012; Ye 2013). Due to the ‘metabolic memory’ hypothesis, chromatin modification is now considered a key contributor to cardiovascular disease (Ye 2013; Rafehi et al. 2014). Based on these findings, we postulate that ‘metabolic memory’ also holds true for individuals with chronic obesity and speculate that small molecule chromatin modifying agents will act as potential therapeutics for reprogramming of pathologic epigenetic signatures. Acetylation of lysine residues on histone tails within chromatin provides an important mechanism for regulating gene expression. Histone acetyltransferases (HATs) and histone deacetylases (HDACs), which govern lysine acetylation, have emerged as critical regulators of cardiac hypertrophy (McKinsey 2011; McKinsey 2012). Animal studies have identified HDACs as novel therapeutic targets for the treatment of HF, as cardiac function and remodeling are markedly improved in animals treated with small molecule HDAC inhibitors (Antos et al. 2003; Kook et al. 2003; Kee et al. 2006; Kong et al. 2006; Iver et al. 2010). HDACs catalyze the removal of acetyl groups from lysine residues in a variety of proteins, but have traditionally been studied as epigenetic modifiers of nucleosomal histones (Gregoretti et al. 2004; Yang and Seto 2007). The 18 HDACs are divided into distinct classes based on homology with yeast transcriptional repressors (Fig.1) (Gregoretti et al. 2004; Yang and Seto 2007). Advances with genetic and pharmacological gain- and loss-of-function studies have suggested that class I HDACs promote pathologic cardiac remodeling (Ferguson and McKinsey 2015). My current publications, demonstrated that HDACs function as signal-dependent activators of the mitogen-activated protein kinase family members extracellular signal regulated kinase (ERK1/2) and c-Jun N terminal kinase (JNK) to drive cardiac hypertrophy in cultured cardiac myocytes (Ferguson et al. 2013). We have further shown that HDACs regulate angiotensin II-dependent cardiac fibrosis via enhancement of fibroblast proliferation as well as fibrocyte differentiation into trans-activated myofibroblasts (Williams et al. 2014). However, little is known regarding the epigenetic mechanisms that link obesity to cardiac remodeling and dysfunction. Moreover, there is limited evidence regarding the role for HDACs on obesity-mediated cardiac remodeling and dysfunction. The long-term goal is to delineate epigenetic mechanisms that govern cardiac hypertrophy and fibrosis associated with metabolic disease (i.e., obesity and diabetes) with the outlook that detailed understanding of disease mechanism leads to specific targets for disease treatment. Delineate the role of HDACs as epigenetic modifiers of obesity-mediated cardiac remodeling. Determine an epigenetic role for dietary HDAC inhibitors that lead to changes in gene expression and pathologic hypertrophy. Will look at dietary HDAC inhibitors in a mouse model of diet-induced obesity. Antos CL, McKinsey TA, Dreitz M, Hollingsworth LM, Zhang CL, Schreiber K, Rindt H, Gorczynski RJ, Olson EN. Dose-dependent blockade to cardiomyocyte hypertrophy by histone deacetylase inhibitors. J Biol Chem. 2003 Aug 1;278:28930-7. Aittokallio T. Dealing with missing values in large-scale studies: microarray data imputation and beyond. Brief Bioinform. 2010 Mar;11:253-64. Aurigemma GP, De SG, Fitzgibbons TP. Cardiac remodeling in obesity. Circ Cardiovasc Imaging. 2013 Jan 1;6:142-52. Barry SP, Davidson SM, Townsend PA. Molecular regulation of cardiac hypertrophy. Int J Biochem Cell Biol. 2008;40:2023-39. Bkaily G, Sperelakis N, Doane J. A new method for preparation of isolated single adult myocytes. Am.J.Physiol.Heart Circ.Physiol. 1984 Dec;247:H1018-26. Borradaile NM, Pickering JG. NAD(+), sirtuins, and cardiovascular disease. Curr Pharm Des. 2009;15:110-7. Bradner JE, West N, Grachan ML, Greenberg EF, Haggarty SJ, Warnow T, Mazitschek R. Chemical phylogenetics of histone deacetylases. Nat Chem Biol. 2010 Mar;6:238-43. Calvert JW, Gundewar S, Jha S, Greer JJ, Bestermann WH, Tian R, Lefer DJ. Acute metformin therapy confers cardioprotection against myocardial infarction via AMPK-eNOS-mediated signaling. Diabetes. 2008 Mar;57:696-705. Canto C, Gerhart-Hines Z, Feige JN, Lagouge M, Noriega L, Milne JC, Elliott PJ, Puigserver P, Auwerx J. AMPK regulates energy expenditure by modulating NAD+ metabolism and SIRT1 activity. Nature. 2009 Apr 23;458:1056-60. Cao DJ, Wang ZV, Battiprolu PK, Jiang N, Morales CR, Kong Y, Rothermel BA, Gillette TG, Hill JA. Histone deacetylase (HDAC) inhibitors attenuate cardiac hypertrophy by suppressing autophagy. Proc Natl Acad Sci U S A. 2011 Mar 8;108:4123-8. Chan AY, Soltys CL, Young ME, Proud CG, Dyck JR. Activation of AMP-activated protein kinase inhibits protein synthesis associated with hypertrophy in the cardiac myocyte. J Biol Chem. 2004 Jul 30;279:32771-9. Dashwood RH and Ho E. Dietary histone deacetylase inhibitors: from cells to mice to man. Semin Cancer Bio. 2007 Oct17;5:363-69. Demos-Davies KM, Ferguson BS, Cavasin MA, Mahaffey JH, Williams SM, Spiltoir JI, Schuetze KB, Horn TR, Chen B, et al. HDAC6 contributes to pathological responses of heart and skeletal muscle to chronic angiotensin-II signaling. Am J Physiol Heart Circ Physiol. 2014 Jul 15;307:H252-H258. Ferguson BS, Harrison BC, Jeong MY, Reid BG, Wempe MF, Wagner FF, Holson EB, McKinsey TA. Signal-dependent repression of DUSP5 by class I HDACs controls nuclear ERK activity and cardiomyocyte hypertrophy. Proc Natl Acad Sci U S A. 2013 Jun 11;110:9806-11. Ferguson BS, McKinsey TA. Non-sirtuin histone deacetylases in the control of cardiac aging. J Mol Cell Cardiol. 2015 Jun;83:14-20. Gregoretti IV, Lee YM, Goodson HV. Molecular evolution of the histone deacetylase family: functional implications of phylogenetic analysis. J Mol Biol. 2004 Apr 16;338:17-31. Heltweg B, Dequiedt F, Marshall BL, Brauch C, Yoshida M, Nishino N, Verdin E, et al. Subtype selective substrates for histone deacetylases. J Med Chem. 2004 Oct;47:5235-43. Iyer A, Fenning A, Lim J, Le GT, Reid RC, Halili MA, Fairlie DP, Brown L. Antifibrotic activity of an inhibitor of histone deacetylases in DOCA-salt hypertensive rats. Br J Pharmacol. 2010 Apr;159:1408-17. Jayaraman S. Epigenetic mechanisms of metabolic memory in diabetes. Circ Res. 2012 Apr 13;110:1039-41. Kee HJ, Sohn IS, Nam KI, Park JE, Qian YR, Yin Z, Ahn Y, Jeong MH, Bang YJ, et al. Inhibition of histone deacetylation blocks cardiac hypertrophy induced by angiotensin II infusion and aortic banding. Circulation. 2006 Jan 3;113:51-9. Kenchaiah S, Evans JC, Levy D, Wilson PW, Benjamin EJ, Larson MG, Kannel WB, Vasan RS. Obesity and the risk of heart failure. N Engl J Med. 2002 Aug 1;347:305-13. Kong Y, Tannous P, Lu G, Berenji K, Rothermel BA, Olson EN, Hill JA. Suppression of class I and II histone deacetylases blunts pressure-overload cardiac hypertrophy. Circulation. 2006 Jun 6;113:2579-88. Kook H, Lepore JJ, Gitler AD, Lu MM, Wing-Man YW, Mackay J, Zhou R, Ferrari V, Gruber P, Epstein JA. Cardiac hypertrophy and histone deacetylase-dependent transcriptional repression mediated by the atypical homeodomain protein Hop. J Clin Invest. 2003 Sep;112:863-71. Lemon DD, Horn TR, Cavasin MA, Jeong MY, Haubold KW, Long CS, Irwin DC, McCune SA, Chung E, et al. Cardiac HDAC6 catalytic activity is induced in response to chronic hypertension. J Mol Cell Cardiol. 2011 Jul;51:41-50. Linz D, Hohl M, Mahfoud F, Reil JC, Linz W, Hubschle T, Juretschke HP, Neumann-Haflin C, Rutten H, Bohm M. Cardiac remodeling and myocardial dysfunction in obese spontaneously hypertensive rats. J Transl Med. 2012;10:187. Litwin SE. 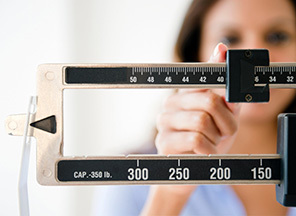 Normal weight obesity: is bigger really badder? Circ Cardiovasc Imaging. 2012 May 1;5:286-8. McKinsey TA. Isoform-selective HDAC inhibitors: Closing in on translational medicine for the heart. J Mol Cell Cardiol. 2011 Oct;51:491-6. McKinsey TA. Therapeutic potential for HDAC inhibitors in the heart. Annu Rev Pharmacol Toxicol. 2012;52:303-19. McLendon PM, Ferguson BS, Osinska H, Bhuiyan MS, James J, McKinsey TA, Robbins J. Tubulin hyperacteylation is adaptive in cardiac proteotoxicity by promoting autophagy. Proc Natl Acad Sci USA. 2014 Dec;111:E5178-86. Miyata S, Minobe W, Bristow MR, Leinwand LA. Myosin heavy chain isoform expression in the failing and nonfailing human heart. Circ Res. 2000 Mar 3;86:386-90. Monnat SM. "Disease prevalence and behavioral risk in Nevada." In the social health of Nevada: leading indicators and quality of life in the silver state. UNLV Center for Democratic Culuture. 2012; http://cdclv.unlv.edu. Myzak MC, Tong P, Dashwood WM, Dashwood RH, Ho E. Sulforaphane retards the growth of human PC-3 xenografts and inhibits HDAC activity in human subjects. Nagalakshmi U, Waern K, Snyder M. RNA-Seq: a method for comprehensive transcriptome analysis. Curr Protoc Mol Biol. 2010 Jan;Chapter 4:Unit-13. Nam H, Ferguson BS, Stephens JM, Morrison RF. Impact of obesity on IL-12 family gene expression in insulin responsive tissues. Biochim Biophys Acta 2013 Jan;1832:11-9. Nam H, Ferguson BS, Stephens JM, Morrison RF. Modulation of IL-27 in adipocytes during inflammatory stress. Obesity 2015 Epub. Ooi JY, Tuano NK, Rafehi H, Gao XM, Ziemann M, Du XJ, El-Osta A. HDAC inhibition attenuates cardiac hypertrophy by acetylation and deacetylation of target genes. Epigenetics. 2015;10:418-30. Rafehi H, Balcerczyk A, Lunke S, Kaspi A, Ziemann M, Kn H, Okabe J, Khurana I, Ooi J, et al. Vascular histone deacetylation by pharmacological HDAC inhibition. Genome Res. 2014 Aug;24:1271-84. Reagan KS, Wambogo EA, Haggans CJ. NIH and USDA funding of dietary supplement research, 1999-2007. J Nutr. 2011 Jan;141:1-3. Sun Z, Singh N, Mullican SE, Everett LJ, Li L, Yuan L, Liu X, Epstein JA, Lazar MA. Diet-induced lethality due to deletion of the Hdac3 gene in heart and skeletal muscle. J Biol Chem. 2011 Sep 23;286:33301-9. Toubal A, Treuter E, Clement K, Venteclef N. Genomic and epigenomic regulation of adipose tissue inflammation in obesity. Trends Endocrinol Metab. 2013 Dec;24:625-34. Wang Z, Gerstein M, Snyder M. RNA-Seq: a revolutionary tool for transcriptomics. Nat Rev Genet. 2009 Jan;10:57-63. Williams SM, Golden-Mason L, Ferguson BS, Schuetze KB, Cavasin MA, Demos-Davies K, Yeager ME, Stenmark KR, McKinsey TA. Class I HDACs regulate angiotensin II-dependent cardiac fibrosis via fibroblasts and circulating fibrocytes. J Mol Cell Cardiol. 2014 Feb;67:112-25. Xia J, Mandal R, Sinelnikov IV, Broadhurst D, Wishart DS. MetabAnalyst 2.0--a comprehensive server for metabolomic data analysis. Nucleic Acids Res. 2012 Jul;40:W127-33. Xie M, Kong Y, Tan W, May H, Battiprolu PK, Pedrozo Z, Wang ZV, Morales C, Luo X, et al. Histone deacetylase inhibition blunts ischemia/reperfusion injury by inducing cardiomyocyte autophagy. Circulation. 2014 Mar 11;129:1139-51. Yang XJ, Seto E. HATs and HDACs: from structure, function and regulation to novel strategies for therapy and prevention. Oncogene. 2007 Aug 13;26:5310-8. Ye J. Improving insulin sensitivity with HDAC inhibitor. Diabetes. 2013 Mar;62:685-7. Yuan J, Bennett BD, Rabinowitz JD. Kinetic flux profiling for quantitation of cellular metabolic fluxes. Nat Protoc. 2008 Jul;3:1328-40.